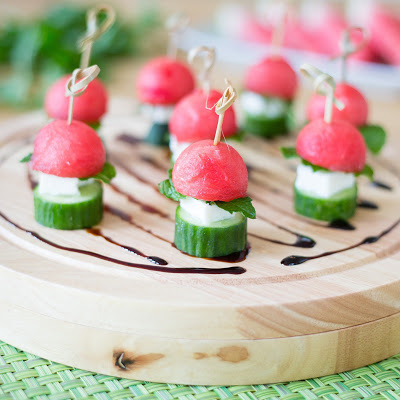 A beautiful and refreshing summer wedding reception appetizer is always enjoyed by your guests. Include some bright colored appetizers to help create a festive and visually appealing table or tray pass when you plan your menu for your wedding reception. One thing to keep in mind when planning your wedding reception menu is to include a variety of foods to accommodate your guests dietary preference and needs. Also keep in mind if they will be eating the appetizers while standing or sitting. Make it easy to eat, a finger food and not messy if they will be standing. Adding a fresh fruit appetizer can work for many guests.